Only 9 weeks left until Christmas... so no pressure, people! There`s still plenty of time to get prepared and buy the perfect gift for your loved ones. 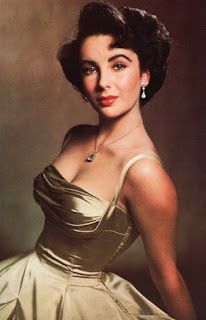 As we all know, jewellery is a huge temptation for any woman but - strange as it seems - choosing a pair of earrings or a necklace might not be such an easy task. Even harder when it comes to a "jewellery set", ie a combination of earrings & necklace, earrings & bracelet, necklace & ring etc. 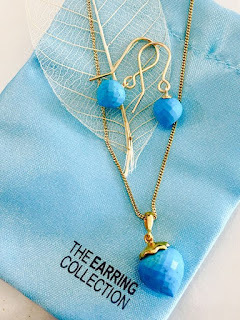 If chosen correctly, such a set can be a perfect finishing touch for any outfit. Actresses and fashionistas know this well. When choosing a jewellery set there are so many things to take into consideration and so many choices on the market! Firstly, a set is meant to be chosen to match and complete your outfit dependent upon the occasion and to complement your style. 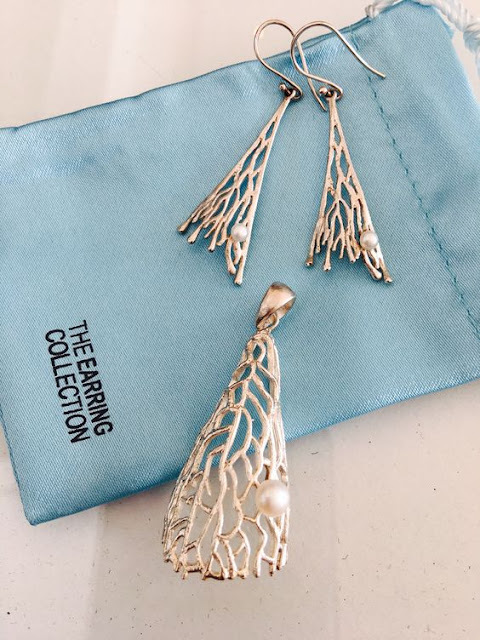 It can be elegant and sophisticated for a wedding, a big, bold statement for a night out, or simple and discrete for everyday wear. 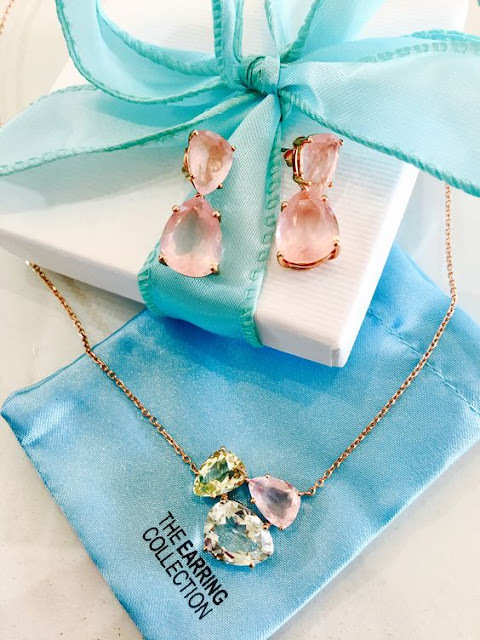 If you have long hair you can opt for long, dangly earrings and if you`re going to wear a strapless dress a nice gemstone necklace can be the perfect eye-catch! The choices are endless, that`s why today we`d like to show you few of the many wonderful jewellery sets we have available in shop at The Earring Collection... just waiting to be worn (or given)! 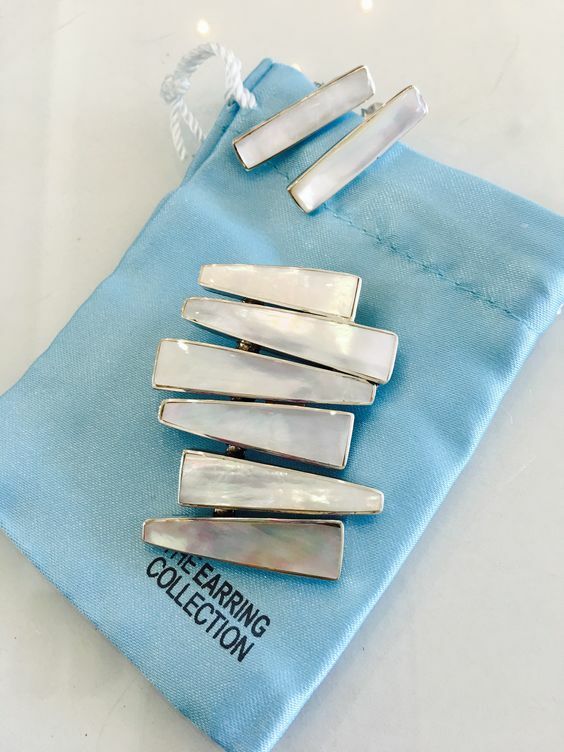 A simple pearl set can be your best friend on any occasions, be it sophisticated or casual. Opt for a set with unusual designs or go for the timeless, classic one. Freshwater Pearl & Sterling Silver earrings £64, and pendant £110. 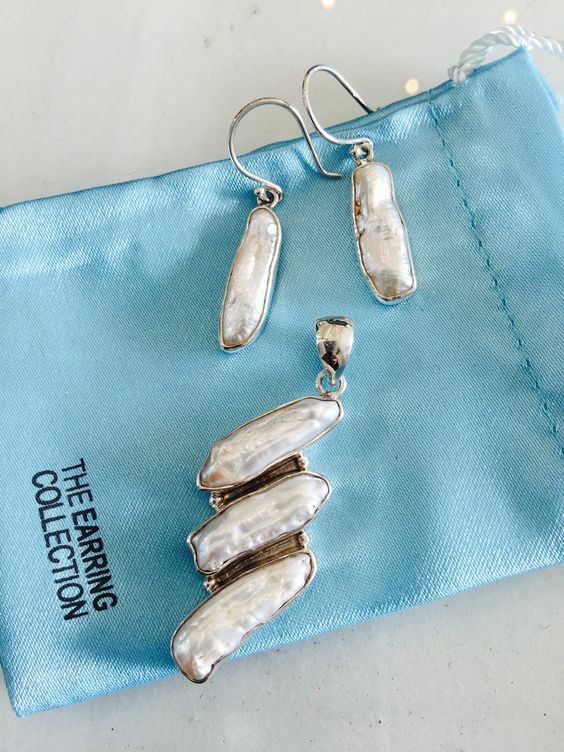 Baroque pearl & Sterling Silver earrings £38, pendant £88. 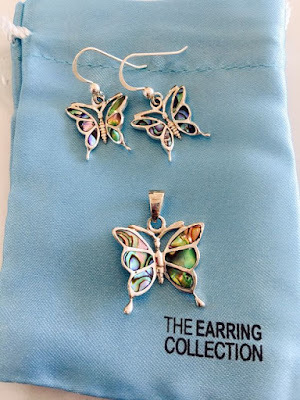 Now in store or find the earrings on line! Bright, so wearable and elegant.. 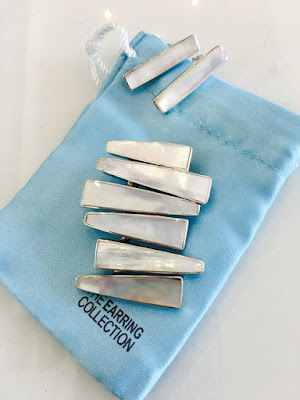 Mother of Pearl is a great option if you`re looking for something that really shows off but it`s fun at the same time. And it`s never too much! Mother of Pearl & Sterling Silver earrings £38, pendant £32. 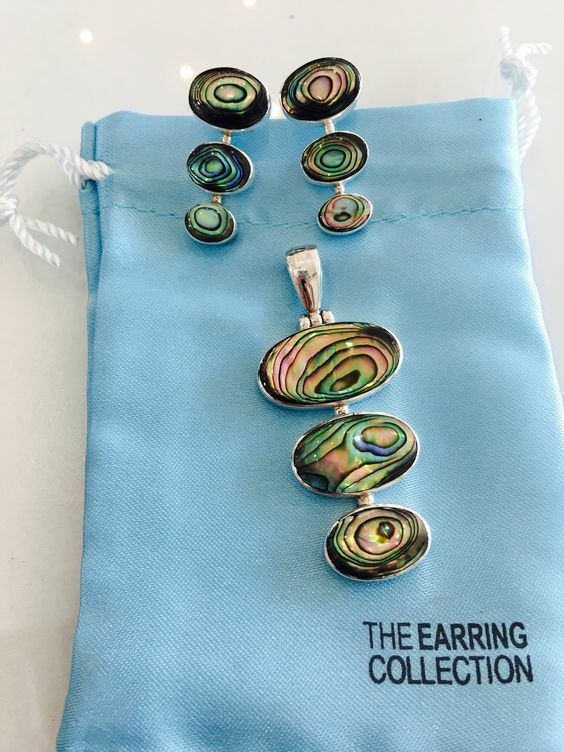 Beautiful Mother of Pearl & brushed/hammered Sterling Silver earrings £136, pendant £154. Mother of Pearl & Sterling Silver earrings £25, pendant £132. This super colourful and iridescent shell from New Zealand is a must have in your jewellery collection. It's perfect for any season of the year as well as for any type of occasion, a simple walk or a fancy evening...it will be envied either way! 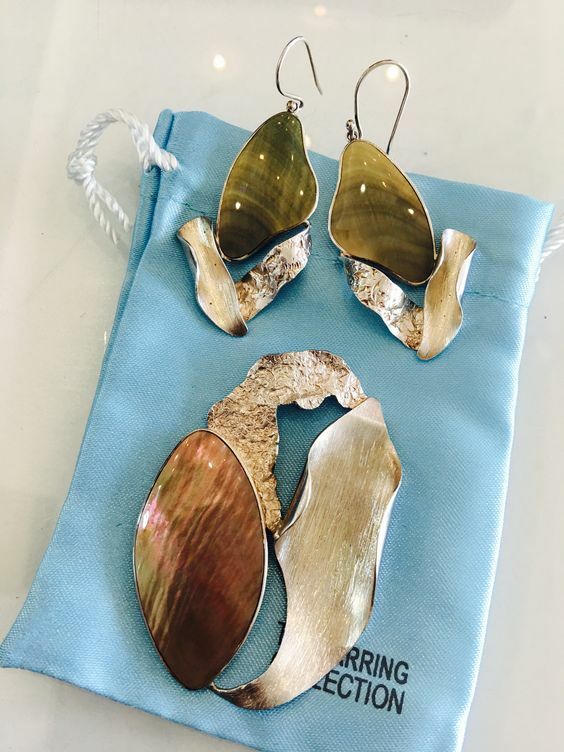 Abalone shell & Sterling Silver earrings £48, pendant £52. 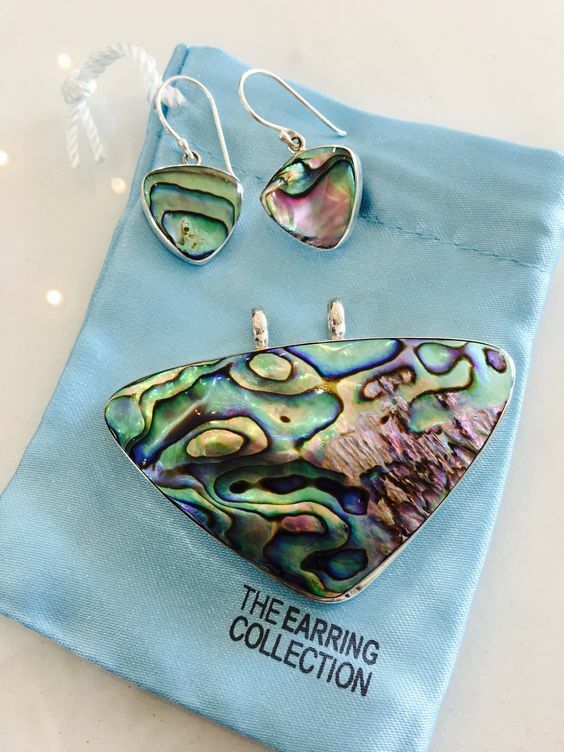 Abalone shell & Sterling Silver earrings £22, pendant £64. 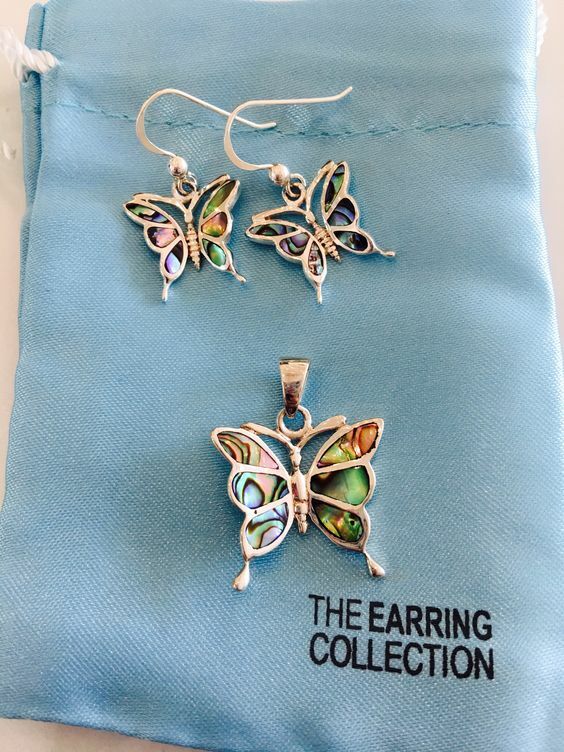 Abalone & Sterling Silver earrings £38, pendant £32. 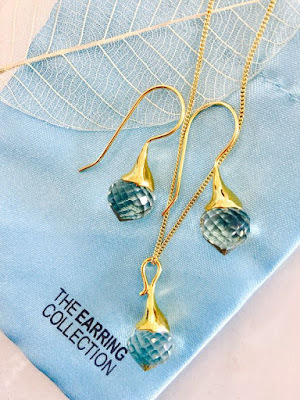 Of course let's not forget about the wonderful gold and precious gemstones sets. For those who prefer to wear gold instead of silver, we have a wide selection of jewellery in gold vermeil as well as in solid 9 ct gold. I personally think that some shiny and colourful semi-precious gemstones look just great when set in gold; they look so fancy and bright! Wouldn`t they be perfect for your Christmas party?? From left to right: Turquoise & 22ct Gold Vermeil earrings £68 and necklace £142. 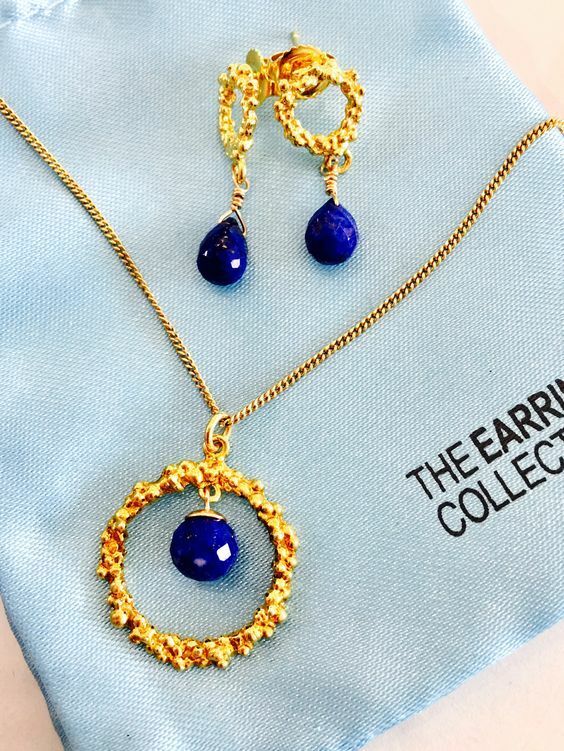 Lapis & 22ct Gold Vermeil earrings £82 and necklace £ 86. Green Amethyst & 22ct Gold Vermeil earrings £126, necklace £126. 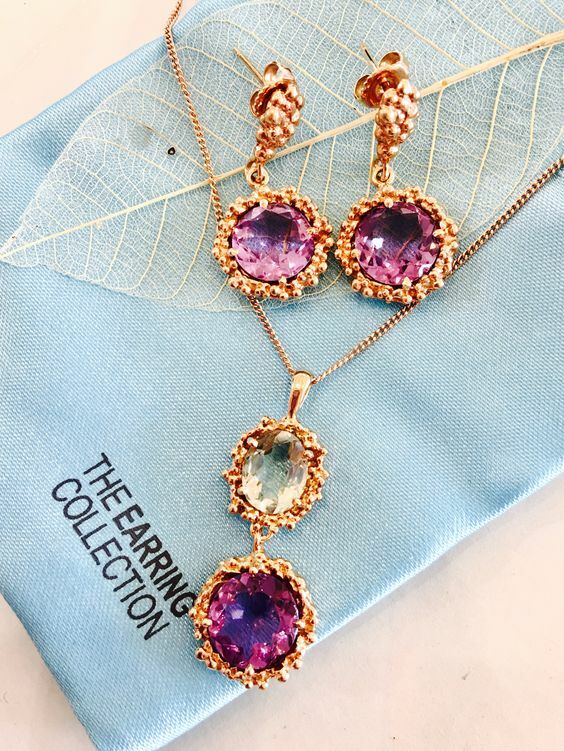 Purple & Green Amethyst in 22ct rose Gold Vemeil earrings £186, necklace £186. Rose Quartz & 22ct rose Gold Vermeil earrings £180. Green Amethyst, Rose Quartz and Lemon Quartz in 22ct rose Gold Vermeil necklace £160. We have many more choices at our boutique shop in Cowes, for any possible taste, occasion (or gift) so come to visit and let us show you our beautiful jewellery sets...hurry up, Santa is coming! 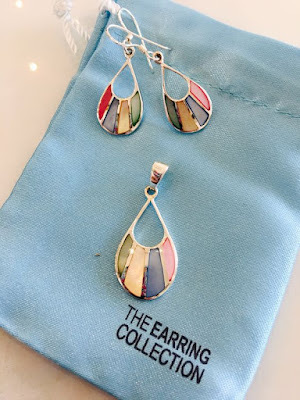 The Earring Collection, 120 High St, Cowes.